For the better part of five years, I’ve tinkered with my fishing reels trying to get a little more performance, a little more distance, a little more longevity out of them. Reel upgrades started for me out of necessity. If I could take an $80 reel and make it perform like a $200 reel for $40 or less, it was a win in my book. 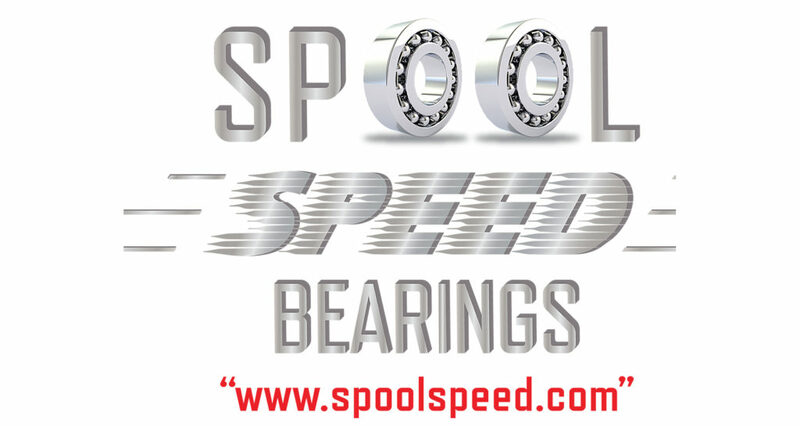 I’ve tried a lot of the bearing offerings on the market over the years but recently found a new company I hadn’t yet seen: Spool Speed Bearings. 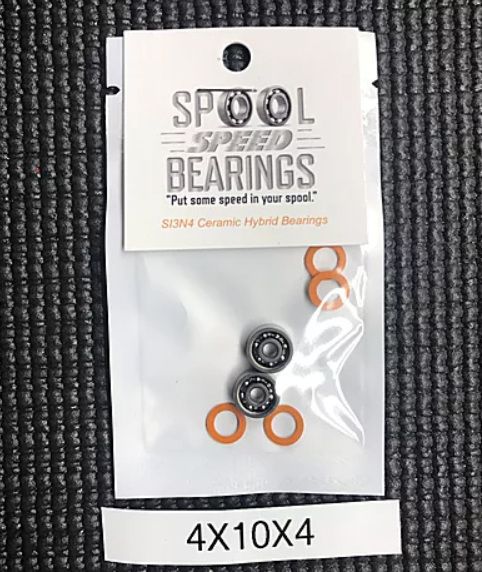 From Spool Speed: Spool Speed ABEC 7 SI3N4 Ceramic Bearings are the best performance enhancement and the perfect fit for most Shimano, Daiwa, Lew’s, Abu Garcia, 13, Ardent and many other Hi-Performance fishing reels. Producing precision smoothness and maximum casting distance, Spool Speed SI3N4 Ceramic bearings are unequaled in performance and a super easy DIY install. * Over 50% Lighter than Stainless Steel . * Shorter retainers and smaller ceramic balls and thicker polished inner races have been specifically designed into Spool Speed Bearings making them fishing reel specific and the Worlds Fastest 100% Fishing Reel Bearing! * Designed to be 100% front load, without side load reinforcement which allows use of shorter retainers to separate the balls. This makes them exceptionally free spinning and fast! In order to test the performance of the Spool Speed Bearings I needed two identical reels so I could control all variables the same. I used my Shimano Chronarch MGL reels (not that they needed upgrades but I happened to have two identical ones). I spooled both reels with 12 pound mono from the same spool of line. In one reel I added the two bearing kit for the Chronarch. The other I left stock. With the Spool Speed Bearings in the test reel, I started casting for distance. I marked my spots and then did the same test with the control reel. After checking the distance differential, I gained 29.5 feet more on my cast with equal settings across the reels. With a little more dialing and an unequal setting, I could gain a little more (about three feet). The bearings did exactly as advertised and allowed for the spool to spin more freely and allow more line to escape before friction slowed the spool. The installs on the Spool Speed Bearings are easy as well. You might want to use a pair of fishing forceps to remove a retainer clip or pull a bearing out as the work can get to a small scale quickly. I would also recommend a small screwdriver (Phillips) and a small ratchet set just in case. I was able to remove and replace the bearings in about five minutes. It doesn’t take long at all. Another huge benefit of the Spool Speed Bearings is the price. Having installed upgraded bearings in my reels over the last five years I am used to paying between $30 and $40 per set. The Chronarch set runs under $20 from Spool Speed. ABEC 7 bearings for $20 or less in many cases is a huge win and a great way to make a budget reel feel a lot better. My biggest wish list item for Spool Speed Bearings is actually a reel interface so I can size my bearing needs without having to measure or make a call. A drop-down selector tool or something of the like would make the DIY crowd who are new to reel upgrades much more comfortable. Of course, Spool Speed offers a number to call and they can get you set up (which is what I did) but in case I get the urge to order at midnight while surfing the web, I need that interface. I’d also love to see some install videos added to the website to help the new guys understand just how easy the process is. I’d suggest some of the mainstream reels and do some close up shots. To find a bearing that performs as well or better than higher priced options is always a plus. To find a way to make your fishing budget go farther with simple upgrades like the Spool Speed Bearings is a valuable tool for any angler. To learn more about Spool Speed Bearings, you can click here. We have been getting our reels “super tuned” for years trying to get a little more distance or more time between replacement and have been super impressed by these bearings. You write up was spot on. My fourteen year old son is replacing our bearings! Great review! For someone who has never changed out bearings, I found it easy and quick as well! Especially on my second and third reel! They are great bearings! These spool speed bearings are as advertised. More distance with less effort in the cast!!! I noticed a significant increase in my Lews reels and Shimano’s Currado K , Cronarch G and Cronarch MGLs. Also a big thing for me is my daughter that is 8 is able to cast a baitcaster with these bearings in with a much higher success rate. I would recommend these bearings to anybody. I have put these bearings in for some friends and everyone of them were amazed like I was. Service is by far some of the best I have ever had. Scott has taken a lot of his time to explain everything to me and it was appreciated!!! 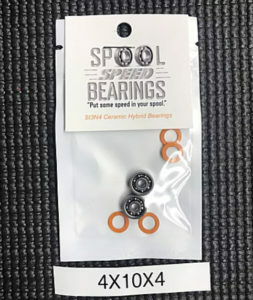 I just placed an order with Speed Spool Bearings and the service I received was absolutely phenomenal and if their bearings are anything like there service my safistication will be even more amazing. I’ve checked around a few bearing companies and the feedback and service I received from Speed Spool Bearings was by far the best. Thank you for everything and I will be back for sure !! These bearings took my Lews BB1Z to the next level! Deep cranking this year is going to be out of this world because of the casting distance I gained! I have all of my reels upgraded to Spool Speed Bearings. He offers an excellent product that the average fisherman can afford. And if I ever have an issue all I ha e to do is pick up the phone and call or shoot them a message and I have my answer very quick. Awesome review for an awesome company that makes a quality product. Huge fan of his bearing. Outstanding customer service as well. Couldn’t ask for better bearing at his price. Night and day difference on my Abu Garcia’s now! Spool Speed Bearings are the real deal. I now have them in every reel that I own. They are definitely the difference maker. These are the best bearings I’ve ever used, I am working on replacing every reel I own with these bearings! There is not one bad comment I can say about the bearings or the customer service. The people at spool speed are top notch and very knowledgeable about the products they supply. I think these guys are the next big thing. Agreed 100%! I got back home from deep cranking and started by upgrading the bearings in my deep cranking reel. After seeing the bearings and how awesome my reel performed, I’ve upgraded 5 of my heavy-use reels! Super impressed with the performance increase already! Hey Phil, cleaning grit out of the reel is easy. Simply disassemble the reel by removing the spool via manufactures specs. Use tools like Q-tips, photo cloths, and air canisters (like the one you use to blow off your keyboard) to wipe and remove grit from the spool, inside of the reel, drag gears and system, etc. After seeing videos of the Spool Speed bearings and what their capable of I decided I wanted to upgrade one of my Tatula SV’s. Scott set me up with spool, level wind and handle bearings. Any questions don’t hesitate to ask him. These bearings really brought my Tatula alive. Will be buying more in the future for sure!